Designing, building, and repairing plastic injection molds, since 1976. When starting a business, you will have to put in the time, effort, and money. A new business owner should always have a startup plan to avoid feeling overwhelmed. Businesses tend to spend most of their money even before opening their doors due to startup expenses. Startup expenses are often high and take owners by surprise. Because it can be difficult to have all of your money up front, owners, especially those that are in the plastic injection molding area, should start taking advantage of the low-volume production run. Low-volume plastic injection molding production runs have numerous benefits and are perfect for businesses that are just starting. It Will Save You Money: A common misconception most people have is that buying in bulk will always save you a huge amount of money. This is not true for every situation. You maybe save a couple of dollars on common items, but you will not save money on your business products. That cost is solely determined by the material. Since the material is the main factor that determines your price, use materials that are less expensive on products that do not need to be as durable as the others. This way, you can save money and reserve the durable materials for products that have to function under certain conditions. Gives You Design Flexibility: Since the production is low, you have the option to customize and change your product’s design. To improve your customer satisfaction ratings, you can ask for their opinions and change your design based on their feedback. You can put in an order for a couple hundred pieces to check and see if you are satisfied with the new design. If for some reason the new design does not sell on the market, you will only lose some money instead of thousands of dollars like some of the bigger companies. This method will not only improve your business’s ratings but also improve your products. Get Your Products On The Market Quicker: Unlike other businesses, you will not have to wait for a couple hundred thousand products to be produced before releasing them on the market. Low-volume runs will allow you to feature your products first, which will create a hype and make them unique. Also, you will be able to set your own prices and will not have to worry about any competition. Low-volume production runs are great for businesses who are just getting started and settling. But you have to be cautious and choose a manufacturer that will complete the job and meet your expectations. It can be rather difficult to find a manufacturer that will produce high-quality products on a budget. Also, another reason it can be difficult is that companies want huge contracts, but check out Quality Mold Shop. 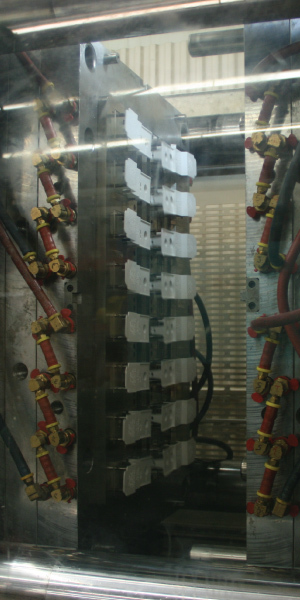 We are reliable and have been doing low-volume production runs since 1976. If you are looking for a free quote, you can visit our website or call us at 931-668-3876. We guarantee you will be satisfied because our goal is to create high-quality products. Are you ready to produce consumer goods? The latest in equipment, computers, and software along with our greatest asset, trained and experienced personnel, allow Quality Mold Shop to provide injection moldings with shortened lead times, quality designs, made-to-last through production mold demands. Our highly experienced staff includes tooling engineers, injection mold designers, programmers, micro and laser welders. Our tolerance is .0002, so you can rely on Quality Mold Shop when the utmost precision is required. We at Quality Mold Shop pride ourselves on Customer Support and providing you, our Customer, with the support to run plastic injection mold production around the clock. With our valued customers depending on Quality Mold Shop for injection moldings, repairs, service, and deliveries we are dedicated to 'serve you, the customer.' We offer competitive rates and lead-times as well as pick-up/delivery services.